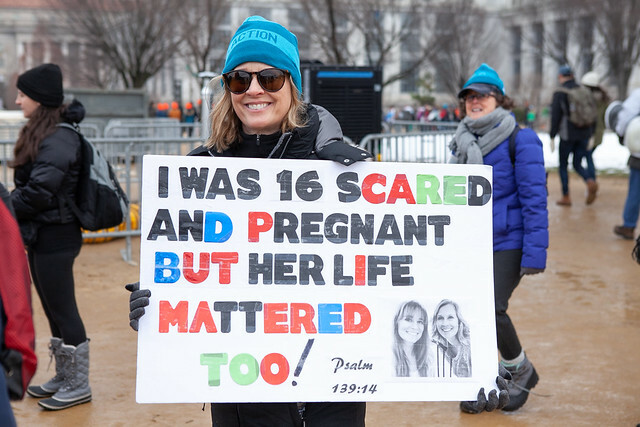 The March for Life last Friday was as inspirational as ever. 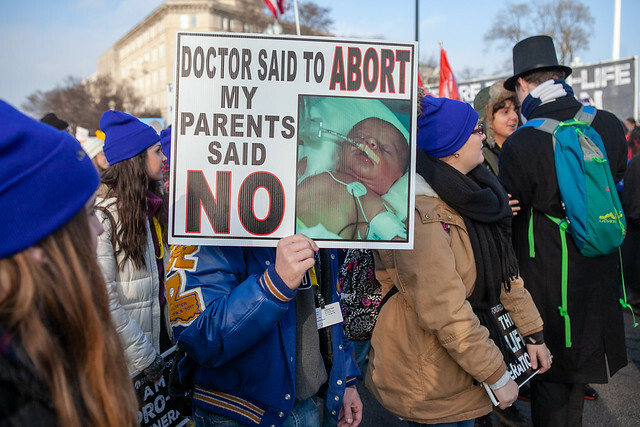 An estimated 500,000 peaceful, prayerful people from all across the country came and stood for the babies. American Life League’s executive director was, along with other pro-life leaders, on the main stage. All he could see was a literal sea of people. The vice president of the United States made an appearance on stage and the president recorded a short video which was shown to the crowd. It was truly a day to reenergize for the year ahead. If you have never been to the March in DC, please plan on coming next year. You will not regret it. 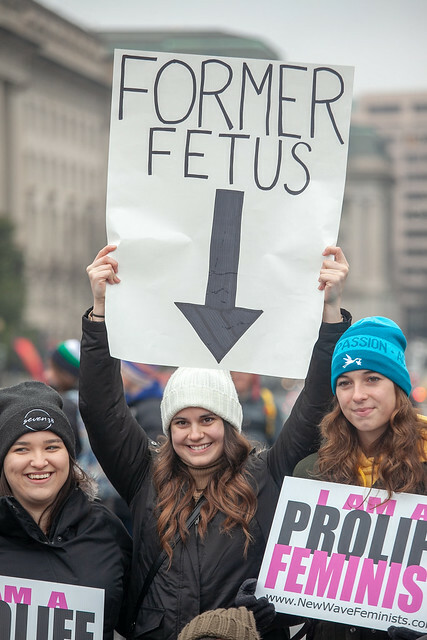 Over the weekend following the March, Planned Parenthood Federation of America released its 2017-2018 Annual Report. American Life League has released two comments on the PP report. You can read them here and here. Planned Parenthood did more abortions, got a record high amount of taxpayer funding, and made $244 million in profits in one year. ALL compiled all the report numbers into a single document and compared it to the numbers Planned Parenthood reported in the four previous years. To see all the information, just view our one-page report, DETAILED STATISTICS OF PLANNED PARENTHOOD’S LAST FIVE YEARS. When the data from this annual report is added to previous data, Planned Parenthood Federation of America has now directly killed 8.2 million babies, received $10.1 billion in taxpayer dollars, and had $1.9 billion in excess income (profits). 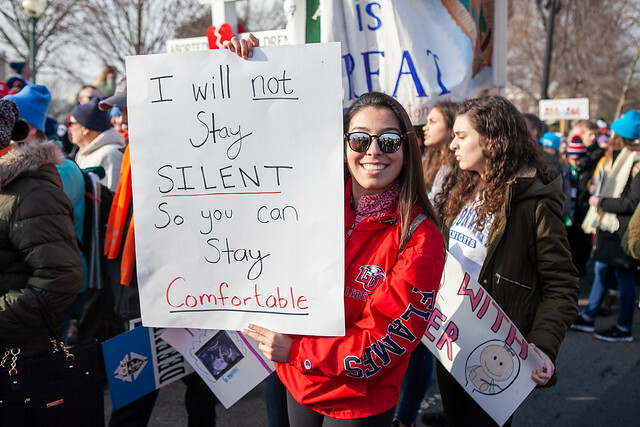 This week, on the actual 46th anniversary of the Supreme Court’s Roe v Wade and Doe v Bolton decisions, the state of New York passed a horrendous pro-abortion bill that was immediately signed into law by Governor Andrew Cuomo. According to the Rochester City News, the law moves New York’s abortion laws out of the state penal code and into public health law. It also would allow licensed advance-practice clinicians, such as physician’s assistants, nurse practitioners, and nurse midwives to commit non-surgical abortions (i.e., medication abortions). 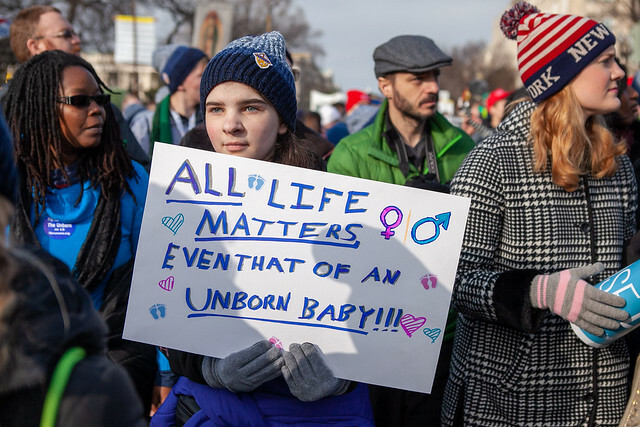 The law also permits late-term abortions in the state by adding a “health of the mother” exception to the “life of the mother” exception that was in the old law. Since “health” is widely interpreted to include just about anything (medical, financial, psychological, etc.) the new law basically gives New York abortion-on-demand throughout the full nine months of pregnancy. In signing the bill, Governor Cuomo encouraged other states in the nation to pass similar laws. Yesterday, Planned Parenthood launched “ROO.” The artificial intelligence-powered bot is meant to give fast answers in a judgment-free, anonymous setting. Teens can find information about anything from puberty, sexually transmitted diseases and pregnancy, to crushes and masturbation on Roo, which can be accessed only on mobile phones at Roo.PlannedParenthood.org. This, of course, is another attempt by Planned Parenthood to come between parents and their children. VICTORY! Back in 2015, the Center for Medical Progress (CMP) released undercover videos revealing Planned Parenthood’s baby body parts business. Planned Parenthood has claimed that the videos were “doctored” and misleading. 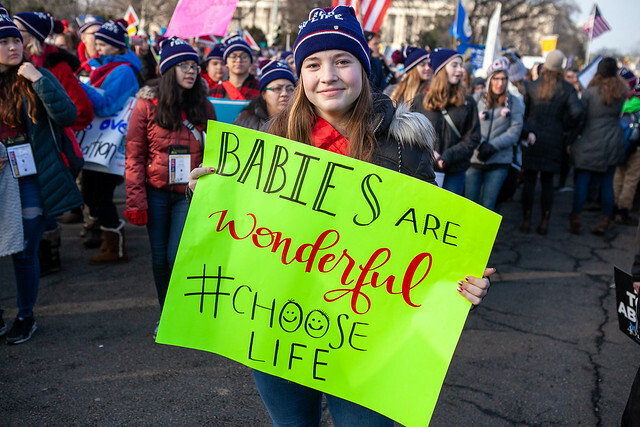 Last week, the federal Fifth Circuit Court of Appeals ruled that CMP’s undercover videos are accurate, authentic, reliable evidence that Planned Parenthood committed criminal partial-birth abortions to harvest more marketable body parts for sale. So, this week, CMP released a new Special Report on Planned Parenthood and partial-birth abortion. CMP’s David Daleiden joined Tucker Carlson live on set last night to talk about these issues and the ongoing US Department of Justice investigation of Planned Parenthood. 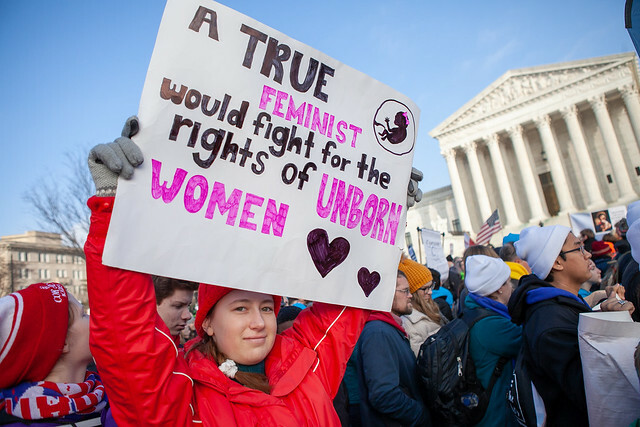 Judie Brown’s commentary this week, Pro-Aborts Terrified of Truth, examines the Supreme Court’s disregard for truth when it issued its Roe v Wade and Doe v Bolton decisions 46 years ago. American Life League issued a press release about PP’s annual report that contained quotes from Judie and Jim. Jim Sedlak did an interview with One News Now about the PP annual report. Dwain Currier continues to provide cutting-edge commentary and images on American Life League’s Twitter account. 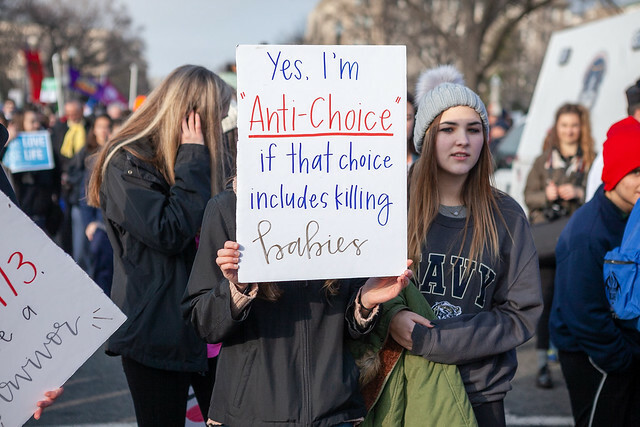 One of his tweets this week was used to point out that killing an older preborn child under New York’s new law does not make the act any more offensive than killing a younger preborn under the old law. Jim Sedlak’s commentary this week, Planned Parenthood Releases New Annual Report; Part 1: Finances, examines and analyzes the financial data in Planned Parenthood’s report. Jim Sedlak’s Pro-Life Activism from Creation to Death is a weekly talk-radio program on the Radio Maria USA network. It can be heard live every Friday at noon (Eastern Time) and is repeated on Saturdays (10 PM) and Mondays (10 PM). 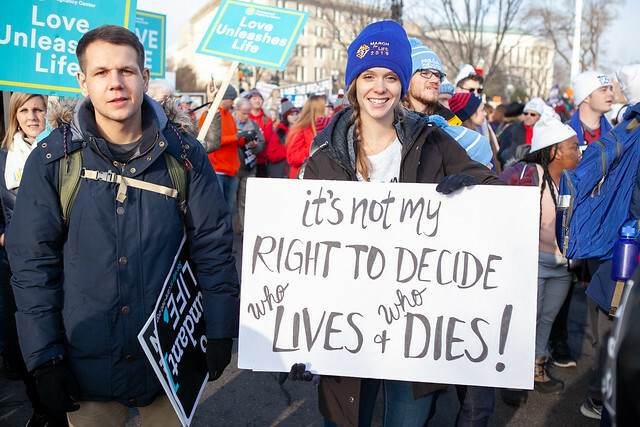 At the beginning of every year, pro-life groups across the country are busy planning for the various activities that commemorate the tragic Roe v Wade and Doe v Bolton Supreme Court decisions. 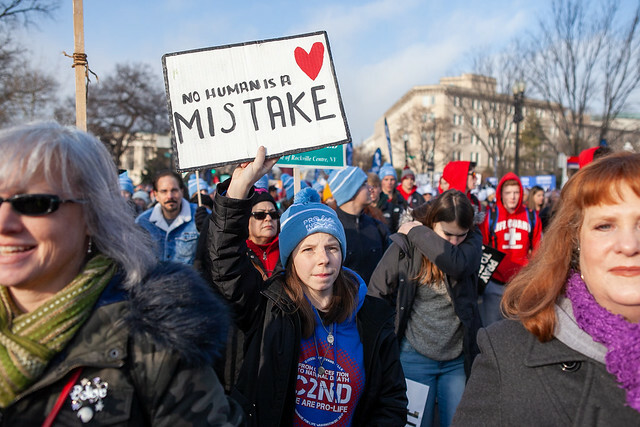 Hundreds of marches, walks and rallies take place from coast to coast during January, including the oldest and largest of them all in Washington, DC. 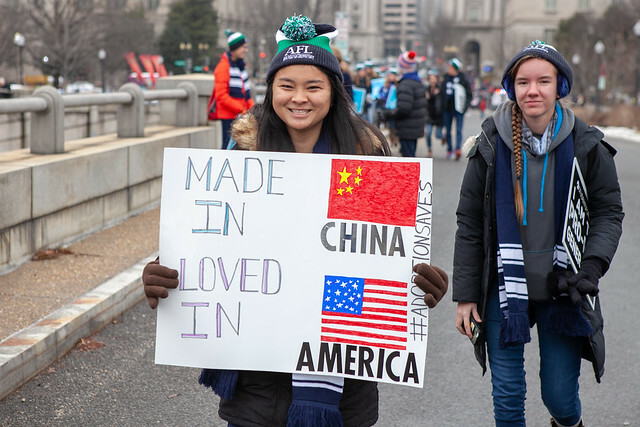 After the commemoration activities are completed, American Life League and many other pro-life groups take the time to review what they have been doing, assess the situation in this country, and then make final decisions, based on their individual missions, where they need to put their energies and resources. The time to do that for 2019 and beyond has arrived. 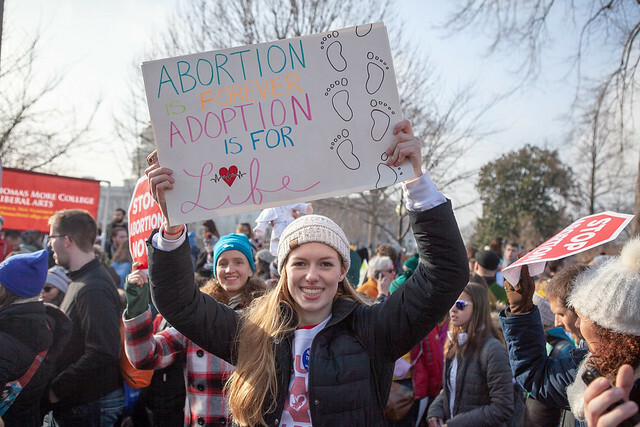 In addition to our own internal discussions, ALL leadership will get together with leaders of other national pro-life groups during the month of February. There will be detailed discussions in an atmosphere of prayer and discernment. We know that you pray for the babies and all involved in pro-life ministry on a regular basis. Today, we are asking you to pray in a special way to ask God to lead the pro-life movement to operate exactly as He wants us to. 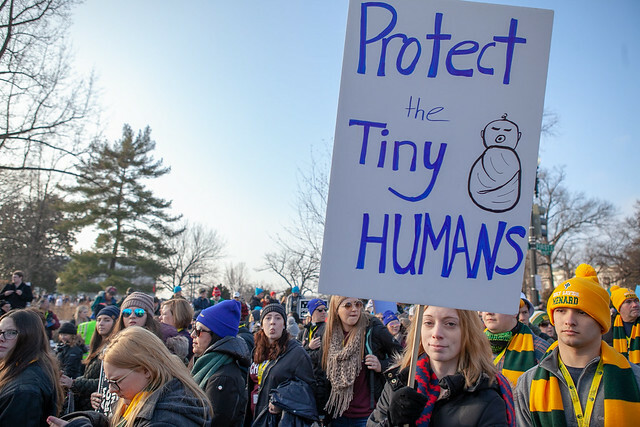 We need your prayers, your fasting, and your penitential acts offered for the intention of the entire pro-life movement and each of its organizations. Pray that we will all understand that the battle against abortion, and other threats on life, is a spiritual battle. The enemy is not a member of a political party or a progressive reporter or college professor; he is Satan. It is the devil that we fight. We have no hope of winning except when we bring God—the Father, the Son, and the Holy Spirit—into the fight. As we prepare to establish our direction and activities for 2019, we look to one of our own—the one human being through whom the Father chose to send His Son to us. That person is Mary. The bible tells us that she is the daughter of the Father, the mother of the Son, and the spouse of the Holy Spirit. In a special way, God used this lowly and humble human being to bring Christ into the world to save us all. 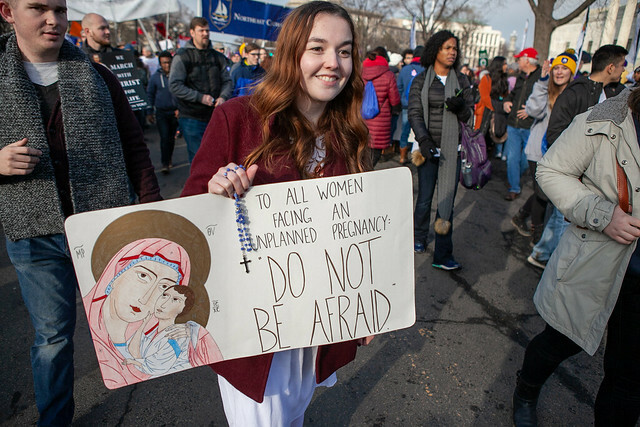 As we face the task of planning the next year’s pro-life efforts, let us ask Mary to intercede with God that He will shower His graces on every strategy meeting of every organization to bring the pro-life movement to the point that we are all listening to God on how He wants each of us to act to defeat Satan. We ask you, in particular, to pray the rosary, the spiritual weapon that has been used by Christians since 1208 to defeat the forces of the prince of darkness and save the lives of the innocent. May the entire pro-life movement understand that we are in a spiritual battle and seek to know the will of God and to act according to His will. 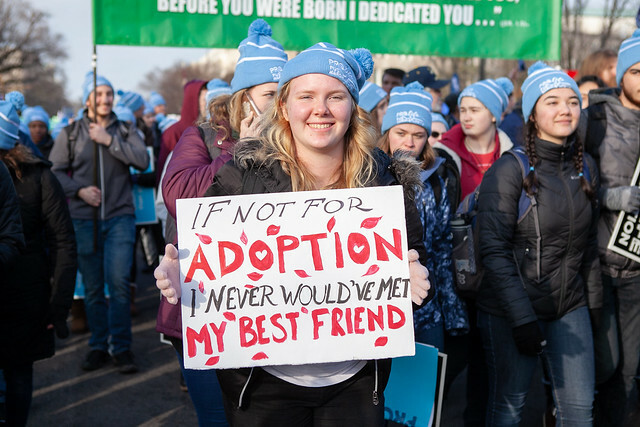 While thousands and thousands of March for Life attendees hold signs given free of charge by various pro-life organizations (including American Life League), so many choose to make their own to express a message they find meaningful. 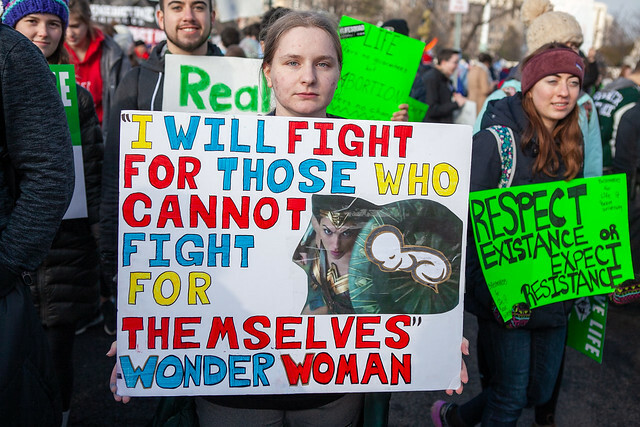 Below we post a handful of the signs we found at the annual pro-life march in Washington, DC.